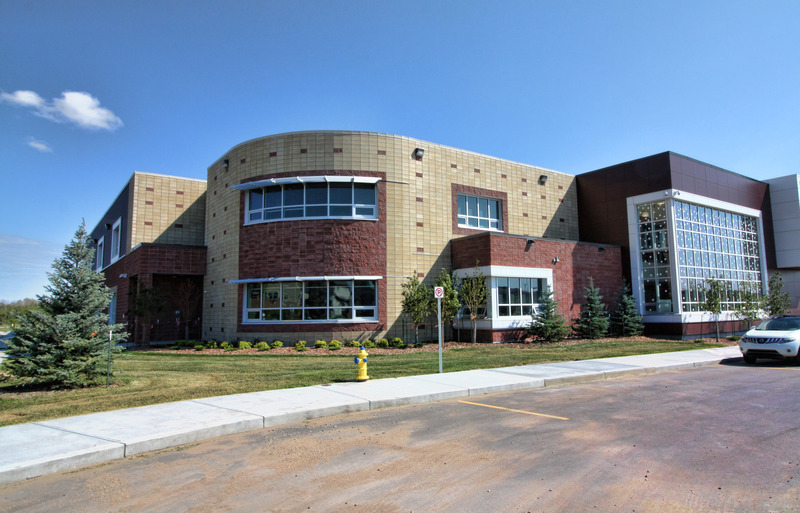 BR2 Architecture were retained by Edmonton Catholic Schools to enhance the design of the existing St. Brendan School originally designed by our firm to enhance program delivery, ensure appropriate building orientation, practical and safe bus loading, parent drop off, vehicular parking and pedestrian movement throughout the site. 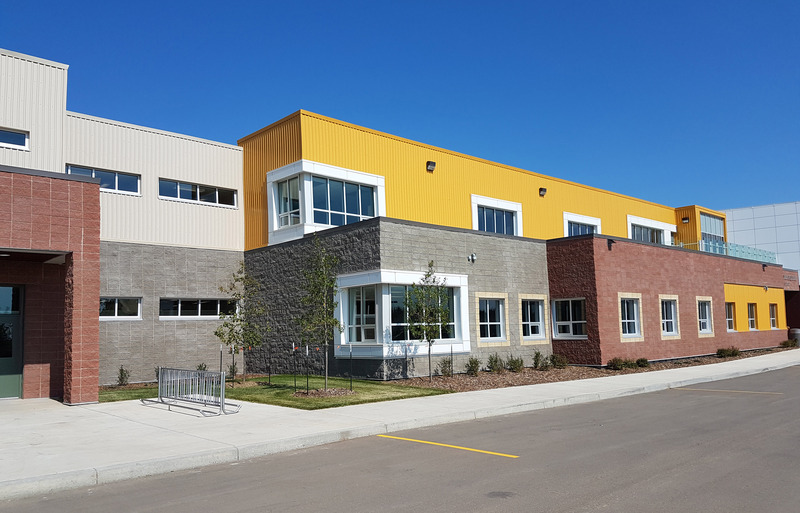 This new schools were designed as two storey facilities to maximize the efficiency of the buildings, maximize outdoor activity space and allow appropriate separation of grade structure based on division. 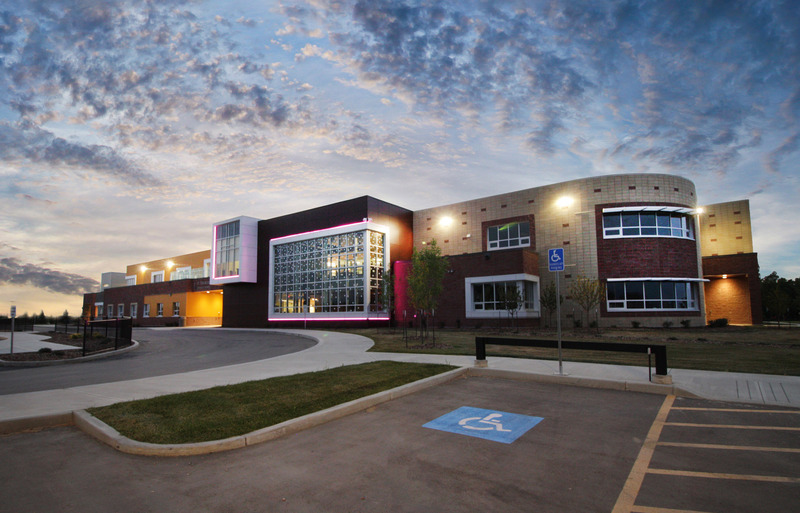 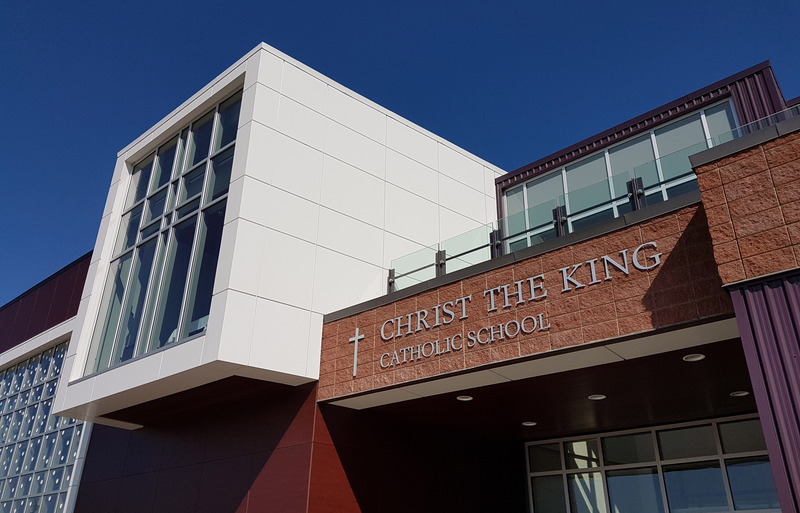 The new school design uses the new open two storey learning commons as the catalyst to unify the three school divisions in an interactive, multipurpose program area. 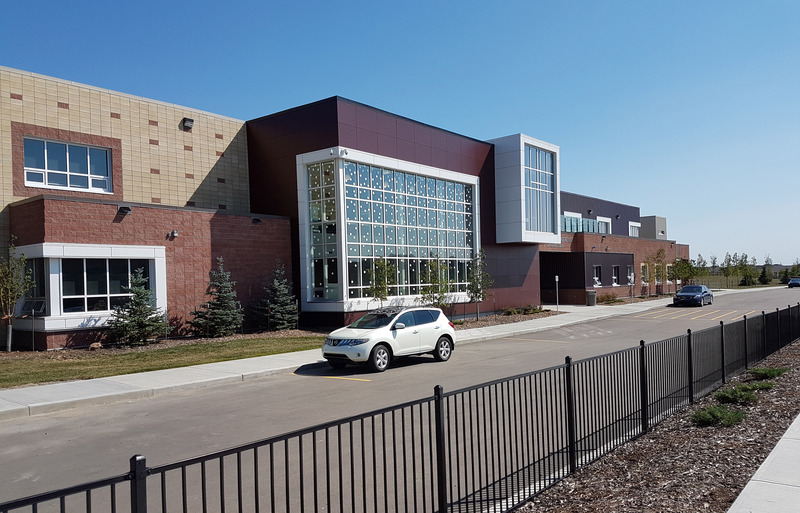 Open and visually accessible gymnasiums, administration area and diverse flex and multipurpose areas in the core support two wings of classrooms.